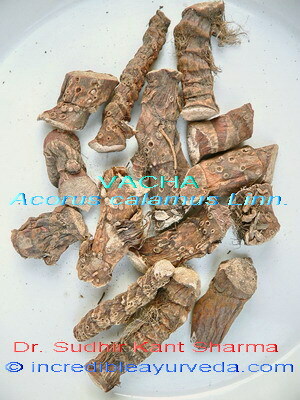 Medicinal Properties:Vacha has aromatic rhizome which are used in various Ayurvedic formulations. It helps in flatulence, colic pain and dyspepsia, controls feebleness of the digestive organs. In Ayurveda it is used in formulations as brain tonic, controls blood pressure and helps to relive chronic cough. External application of Vacha helps to control inflammation in Amavata (Rheumatoid arthritis), Sandhivata (osteo-arthritis) and Paralysis. 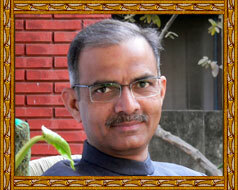 It is also used in formulations for obesity control, epilepsy and skin disorders. Effect on Dosha:Pacifies Vata & Kapha and aggravates Pitta. Main Classical Uses:Saraswat churan, Medhyarasayana.